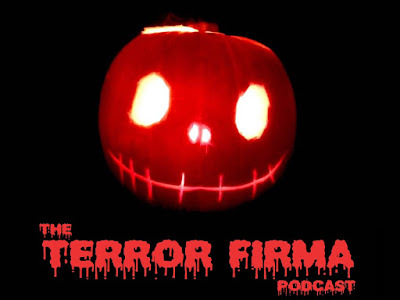 Right now the Terror Firma podcast is in its development stage. The podcast will be an extension of this website and will feature news, reviews and interviews with a who's who of Horror! I ran a very successful podcast before, it was a variety interview show where I interviewed Hollywood people, sports stars, chefs, scientists, a convicted murderer and an ex member of a cult. It was fun but this is my passion project. I love the horror genre hell I write everything from horror screenplays through short stories and onto my novel -coughs- out next year. What I want from you is for you to let me know who you want to be interviewed on this podcast and hit those names up on Social media saying you'd like to hear them featured. I'm looking to build a community here, a horror community where us fans can come together and share our passion for horror films, shows and novels. I also want to hear what flicks you love and what ones you hate and why? Let me know your likes and dislikes in the comments, over on the Terror Firma FB group and by emailing me at drew.carson@terrorfirma.net. What makes development hell development heaven? The struggles, the time, the effort that is going into bringing this podcast to you by January is so worth it because I love the genre, I love talking about it and I can't wait to start discussing it with you guys! So check out the FB group and come join the discussion and maybe you too can feature on an upcoming episode of this site's Smiletime-Facebook show Slash-Cam which begins in December.